Contact information (Name, position, email, phone) for two recommendation providers who have agreed to write you a letter of recommendation. a short essay (500 words max) that succinctly describes i.) 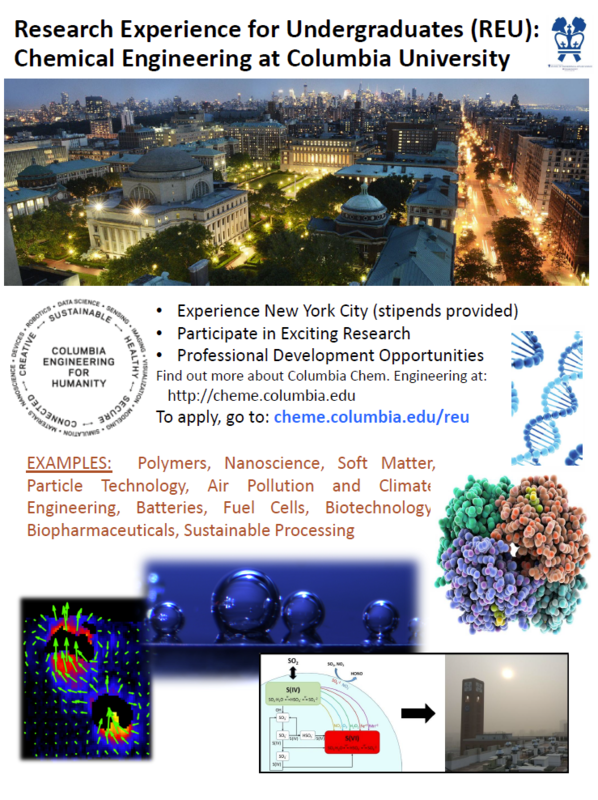 your research interests and experiences, ii) why you are interested in participating in the Chemical Engineering REU program, iii.) Expectations for the summer REU program, and iv.) future plans for graduate school and/or your career goals. To be eligible, applicants should be currently enrolled as a Sophomore or Junior undergraduate student in a Chemical Engineering program. We anticipate providing stipends of $8,000 to students selected for the program. The end date for the application is February 15, 2019.